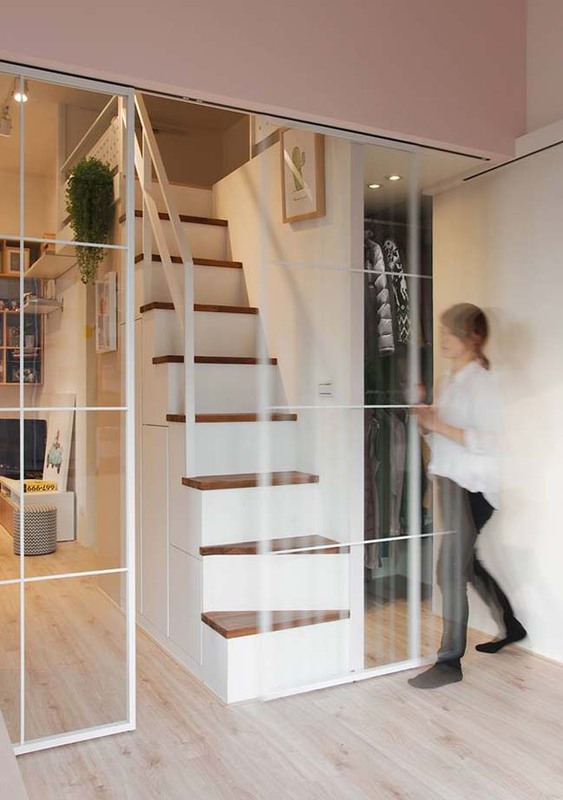 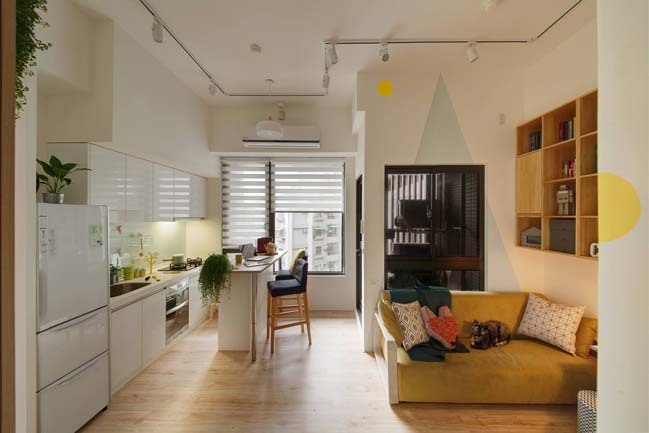 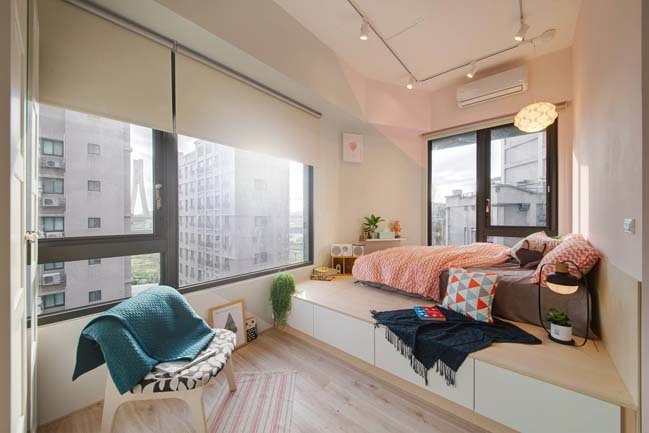 The A'LENTIL Design transformed a tiny home into the sweetest place in the world for a couple and their cat in Taiwan. 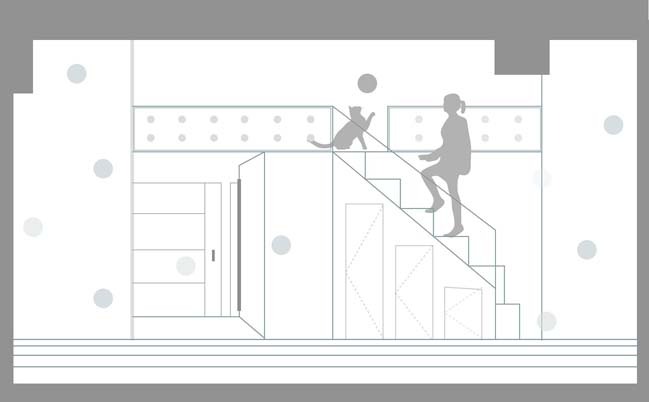 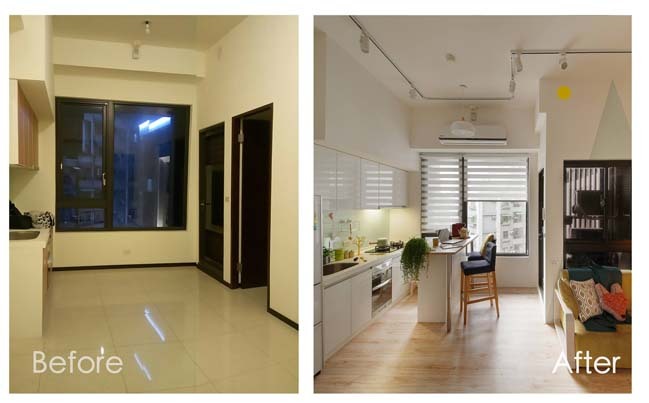 Project's description: The happiness is enjoying the time with my lover and watching my cat walk around, even having a tea time at home on weekend, that’s the dreaming life every city dweller dream about. 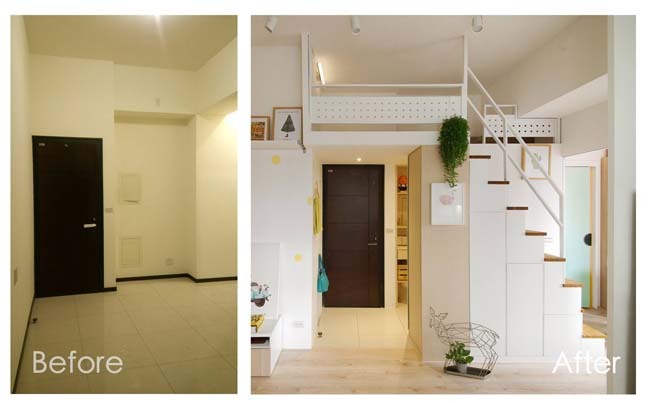 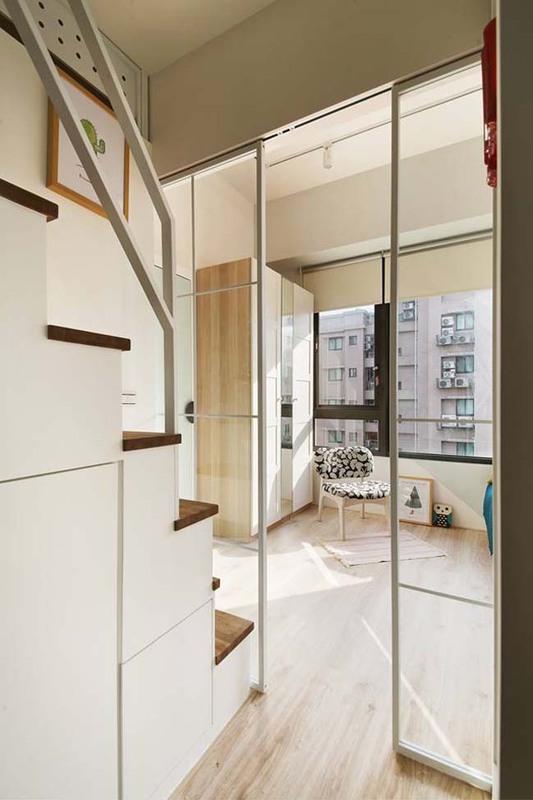 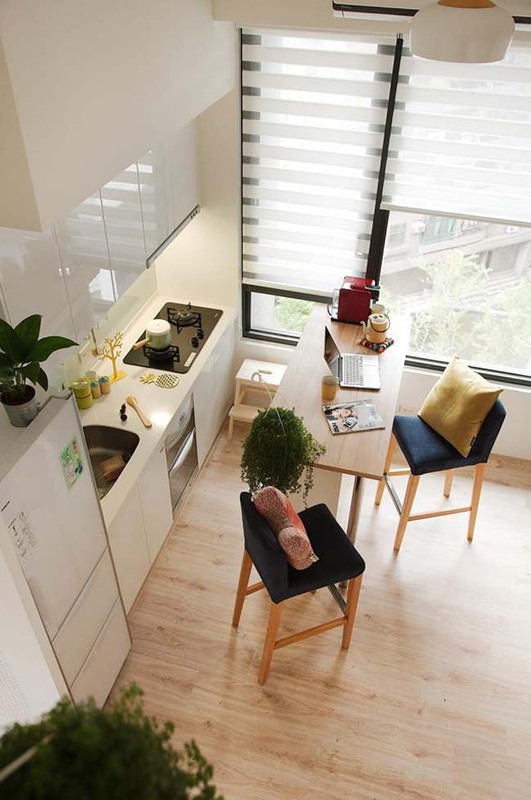 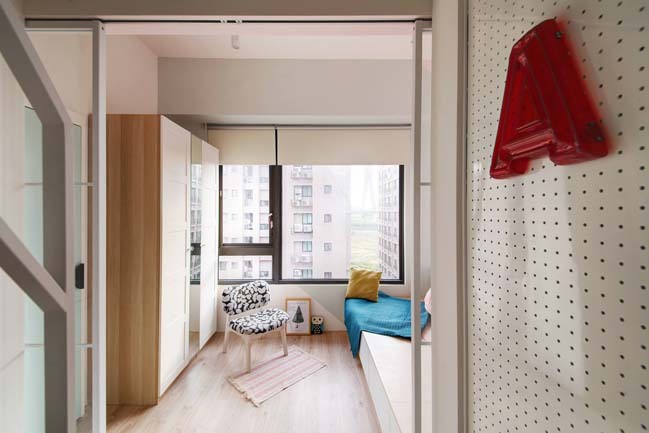 At the first time when designer see this place, she found this tiny space is separated by several walls and it looks smaller, even causes unsmooth movement. 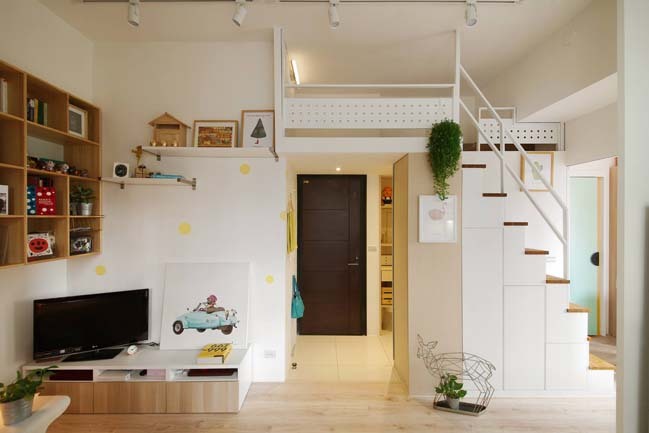 How to make a dreaming life come true and even there is a new born baby in the future, it is really a difficult problem. 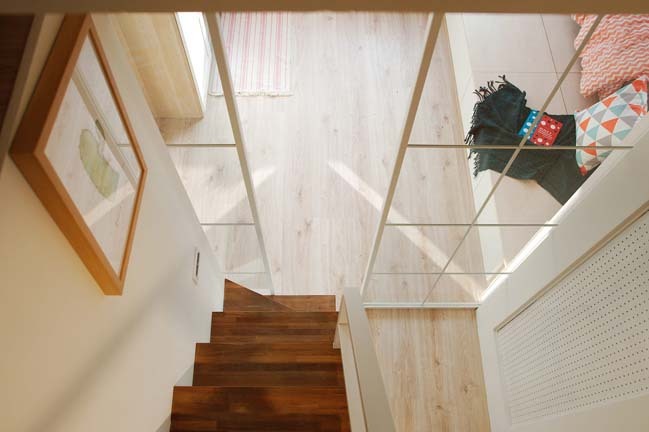 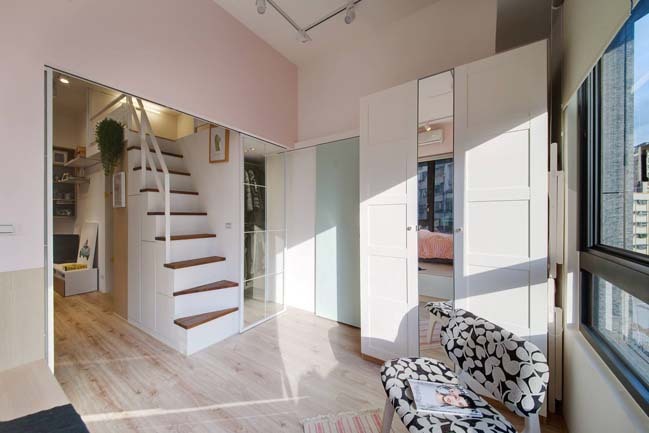 Designer communicates with the couple and decides to rearrange the movement, introduce sunlight and air into rooms, to renew space allocation and their life style. 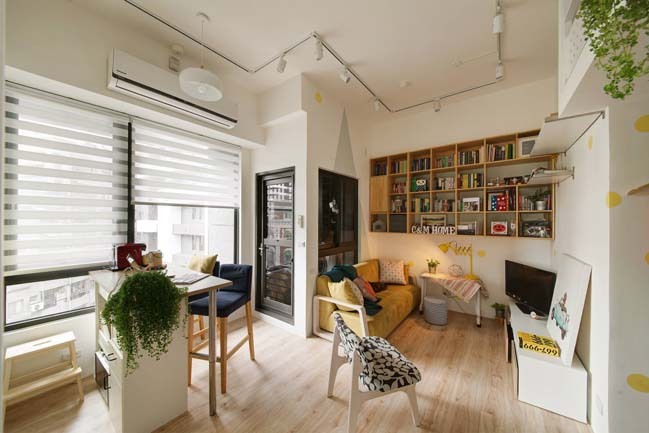 For coloring plan, entire space color arrangement is white, but decorate lemon yellow dot from entrance to living room, paint main bedroom with bright Macaron color to relieve stress from work. 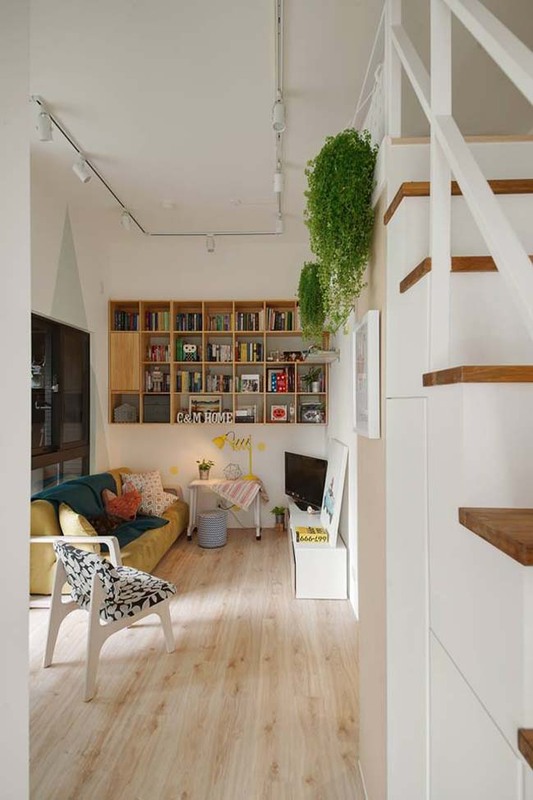 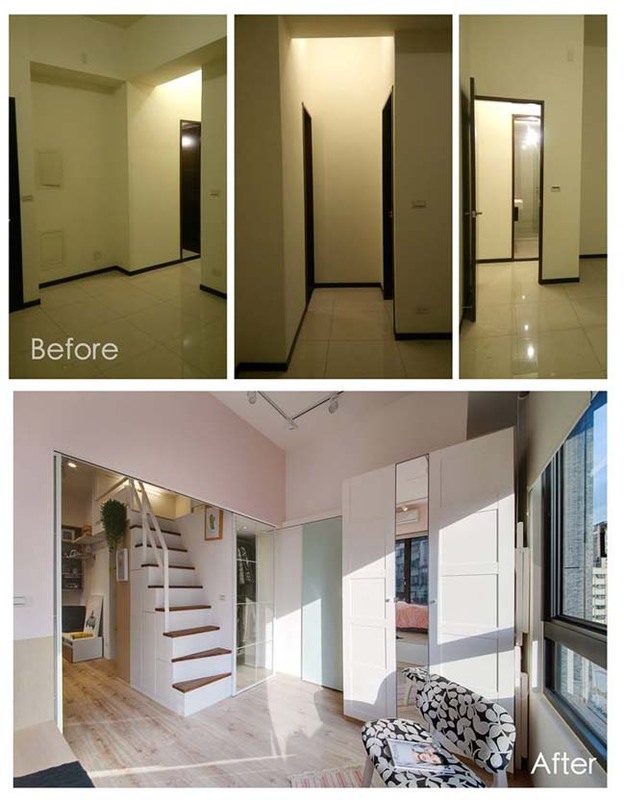 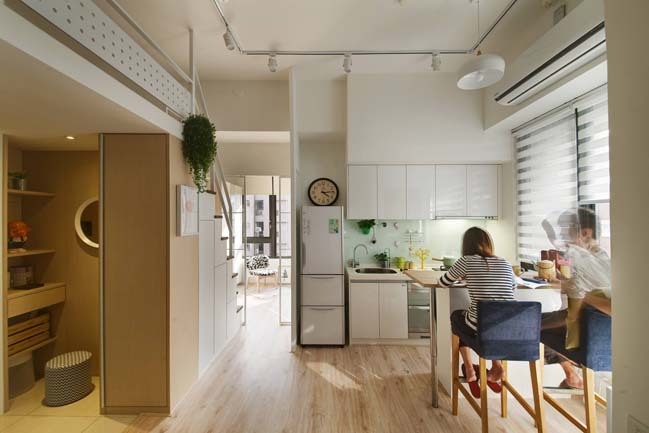 A tiny space contains large requirements, designer meets owners' needs and makes home become the sweetest place in the world, even makes owners get happiness easily.